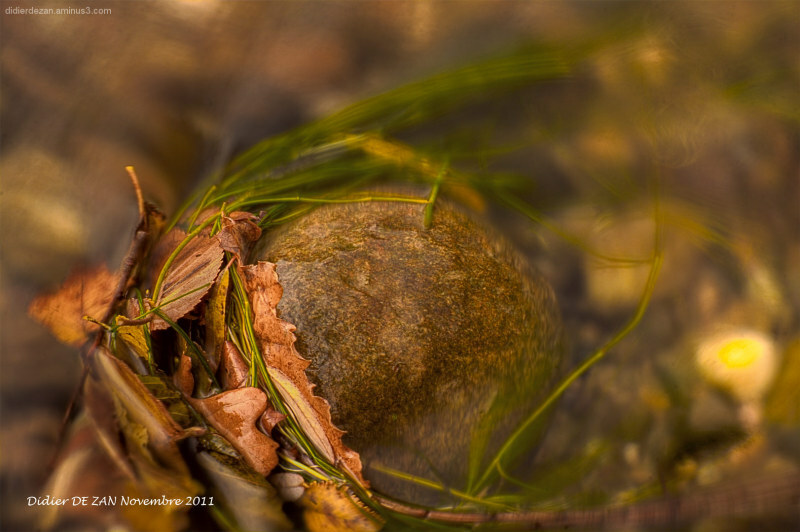 Didier DE ZAN (somewhere, France) on 6 December 2011 in Abstract & Conceptual and Portfolio. retenue par les filaments de la vie.... une image plein de douceur et de poésie. Très belle ta photo!! j'aime beaucoup les couleurs!! There's something special in these two (yesterday and this) shots, they are really interesting and full of great details. A moment of peace before being carried downstream.